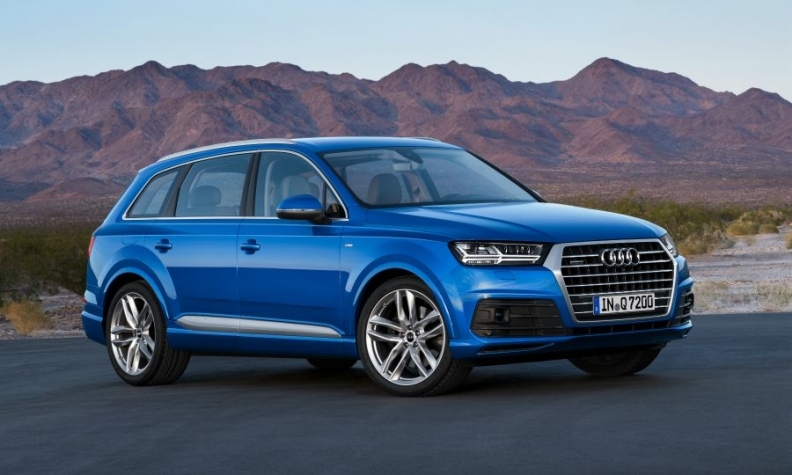 VW Group builds the Audi Q7 SUV in Slovakia. BRATISLAVA -- A strike at Volkswagen's Slovak plant will continue into a fourth day after talks on wage deal failed, a union chief said on Thursday. Zoroslav Smolinsky did not specify whether or when the talks with the management will resume but added the unions would consider options to intensify the strike that has hit production at the biggest private employer in Slovakia. About 70 percent of VW's 12,300 employees joined the protest that started on Tuesday at the plant that exports virtually all of its output. After seven hours of talks on Wednesday and four hours on Thursday, the unions reduced their original demand of a 16 percent boost over two years to 13.9 percent, refusing the management's offer of a 9 percent raise plus bonuses. The unions are also asking for better work conditions such as longer lunch breaks. Slovak Prime Minister Robert Fico supported the action on Monday, saying Volkswagen's Slovak workers deserve the same pay as workers in western Europe for doing the same work. VW's Slovak unit said last week that union demands for a bigger pay hike would endanger the plant's competitiveness within the group and also job stability. VW produced 388,687 cars in Slovakia in 2016. The factory builds the VW Touareg and Audi Q7 SUVs and bodies-in-white for their sister models, the Porsche Cayenne and Bentley Bentayga, as well as the VW Up, Skoda Citigo and Seat Mii minicar family, according the Automotive News Europe's Guide to European Assembly Plants. The company pays an average wage of 1,800 euros a month including bonuses, double the national average. "We will strike tomorrow, on Saturday, Sunday, maybe for a week, (they) will suffer," Smolinsky told hundreds of workers gathered in front of the factory as they erupted into chants and whistles. Slovakia's Finance Ministry has estimated that 12 days of an uninterrupted strike would cut 0.1 percentage point off the country's annual economic output. Growth is seen at 3.3 percent this year and above 4 percent in coming years, with the auto sector the most important driver. Slovakia, with a population of 5.4 million, produces more than 1 million vehicles a year, making it the biggest per-capita auto producer in the world. Besides VW, Kia Motors Corp. and PSA Group have plants in Slovakia. Jaguar Land Rover is building a plant due to open next year.